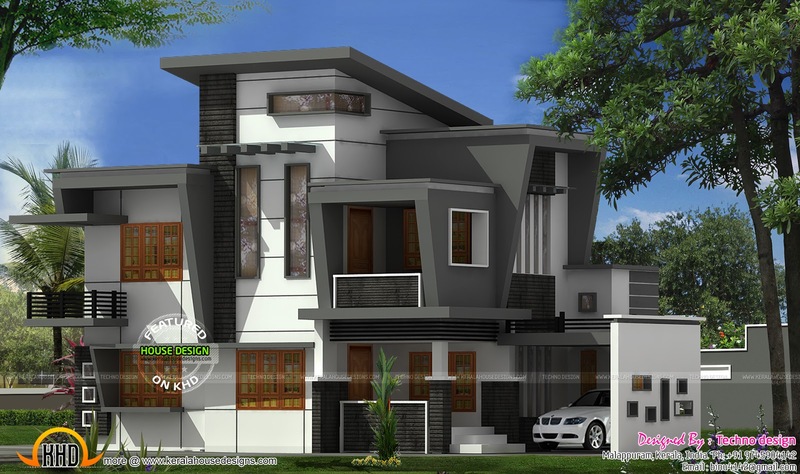 1960 Square Feet (182 Square Meter) (218 Square Yards) 4 bedroom (2 attached) modern house exterior. This house can be build in 5 cents (11.35 are) of land. Designed by Techno design, Malappuram, Kerala.